January 9, 2018 – Merlin Entertainment announced that plans to open a Legoland Park in South Korea will commence. 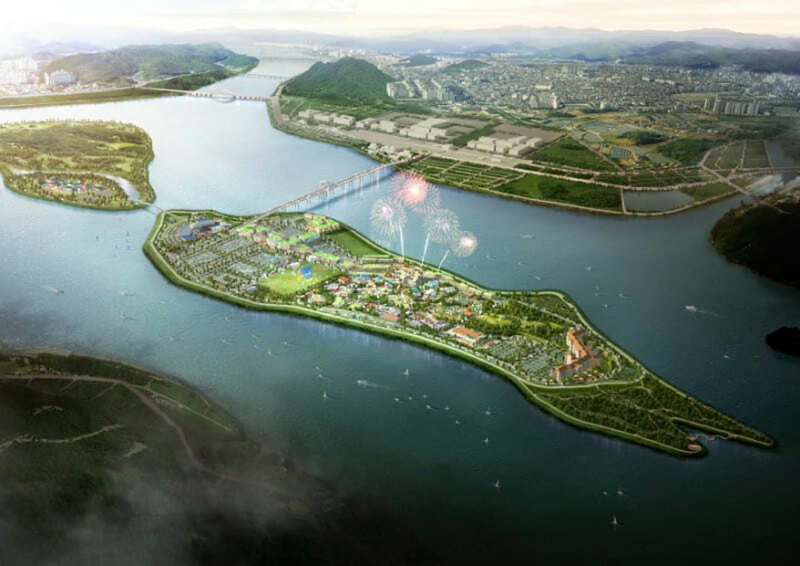 In a partnership agreement with the Gangwon Provincial Government, Legoland Korea will be located on the island of Hajungdo in Chuncheon and is scheduled to open in 2022. Approximately one hour’s journey east of Seoul, the theme park resort will also include a fully themed Legoland Hotel and employ 1,600 people. The project was officially announced in 2014, with a 2017 opening date, but construction came to a halt after prehistoric ruins were discovered at the site. At a cost of $261 million, just over $188 million will be invested by Merlin with the remainder coming from LL Developments, the investment arm of Gangwon Province. It will be Merlin’s tenth Lego themed park, following Legoland New York’s scheduled opening in 2020. See what our members are saying about the announcement in our Forum discussion. This entry was posted in News and tagged Legoland, Merlin Entertainment, South Korea. Bookmark the permalink.